By the end of the 2018 Formula 1 Season, Sergio Perez would become Force India's most-experienced driver - and unless Esteban Ocon (who is next on the show!) goes on a podium scoring spree, he will also become the team's most-successful driver. Force India has helped stabilise Perez's career and vice-versa; they make a lethal combo - one to watch out for this season. He is also the best person to judge Force India's key strength - one that's made them the talk of the paddock and the 'best bang for buck World Champions'. In this week's episode of the Inside Line F1 Podcast, the famous Mexican driver joins us on the show - also becoming first driver in history to appear on our show twice! Super thanks to our friends at Force India for making this happen - #FeelTheForce, indeed. Tune in to hear Checo's expectations from 2018, if he would ever consider a dual racing program like Fernando Alonso - the WEC and Formula 1 and what he thinks of the next-generation Formula E car. Also, we talk about Bernie Ecclestone's suggestion to Formula 1 to go all-electric and if slowing the cars down to improve the spectacle of racing would make sense. Picking the colour of your next car is a tough decision. Do you go for your favourite colour? But it's not only if you like the colour that's the issue. Some colours can cause your car to depreciate over 33.5% more than others and research has found that UK Car buyers pay over £500 just to get their car in the right colour. Select Car Leasing has looked into the history of car colours; which has been the most popular over the years, as well as seeing which new colours are set to emerge in the car world. The Colour Wheel by SELECT CAR LEASING. Friend of Talking about F1 Kunal Shah - of Inside Line F1 Podcast fame - has made a major coup of interviewing Force India Team Principal Vijay Mallya for Firstpost. And Kunal's very kindly agreed to share it with us. 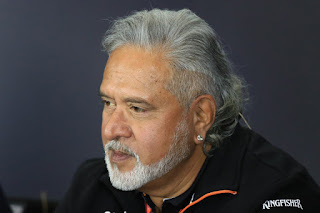 The full interview is below, and Mallya discusses his team's growth to by common consent to be the sport's best pound-for-pound performer, the challenges facing the team now and many other matters besides. The world of sport offers a unique irony - the passion for sport unites fans and followers all over the world, only to have rivalries split us apart instantly. However, one story that still unites fans despite having different favourites is the story of the underdog. This column is a celebration of a decade of the Force India Formula 1 Team - the team that has consistently scored points, occasionally ended up on to the podium, but has always won hearts and applauses from the fans for their spirited performances. In Formula 1's sporting context, Force India is now considered as a benchmark – by pundits, commentators, drivers and even rival teams. 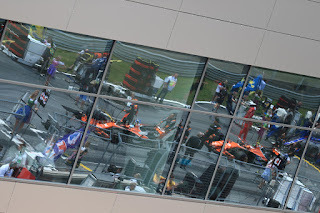 However, the journey has definitely not been an easy one for the team given the preferential treatment that was shamelessly meted out (under Bernie Ecclestone's era) for the top teams the sport. In a season where not a great deal's expected to change in the competitive order we at least can expect one high climber - McLaren for the first time in a while having a power unit that should get it into the game. But precisely how high they climb will be crucial, and not just for the team's 2018 fate. Toyota and the World Endurance Championship (WEC) have done the unthinkable. They successfully lobbied to move the date of the Japanese round of the WEC to accommodate Fernando Alonso's Formula 1 commitments. 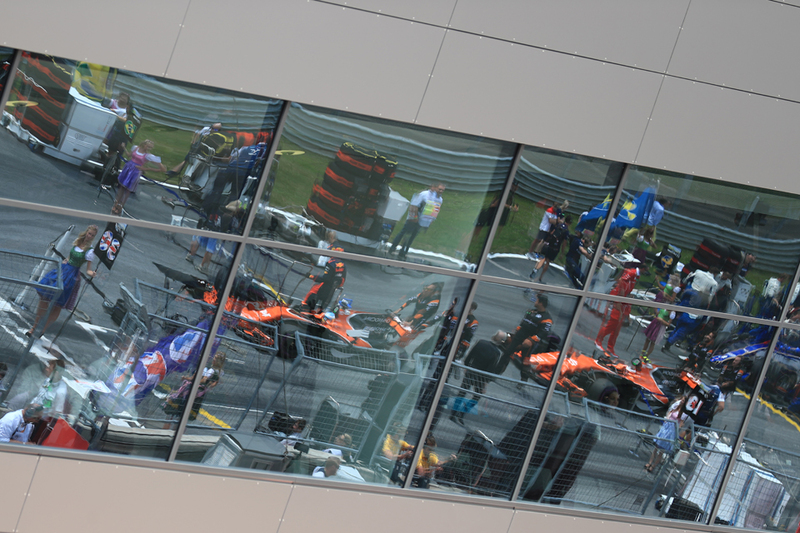 Clearly, it isn't Mclaren alone who are swayed by Alonso's talent, power and fandom! Fernando Alonso's racing calendar for 2018 has gone viral. It seems that the Spaniard is trying to make up for all the racing laps he missed thanks to the Honda at the back of the McLaren! Also, would we ever get to see an Alonso-Hamilton pairing at McLaren? The sport and McLaren are known to take u-turns at their own will. Finally, Hot Wheels' signing of Nico Rosberg as their 'Global Brand Ambassador' has come two years too late. They would have definitely benefited more when Rosberg went hot-wheelin' his Mercedes against Lewis Hamilton. Tune in! Felix Rosenqvist, the Mahindra Racing driver and the current Formula E Drivers' Championship leader, joins us on the Inside Line F1 Podcast. Yes, we are a Formula 1 podcast and this is exactly why we have Rosenqvist on the podcast - he deserves every bit of an opportunity in Formula 1 and our podcast is a good place to have him start from! In this episode, Rosenqvist shares his title aspirations in this year's Formula E season, his title rivals and how Mahindra Racing is working with him to remain ahead of the competition. Also, Rosenqvist shares his ambitions of becoming a Formula 1 driver and how he is attempting the reverse of what most professional drivers have done previously - go from Formula E to Formula 1. The Swede also shares his secret about mastering street circuits, how different it is to race a combustion engine car to an ell-electric car and lastly, he tells us why he dislikes Kimi Raikkonen since the last few months. Tune in! Subscribe to the Inside Line F1 Podcast on iTunes and on audioBoom for your weekly dose of Formula 1 humour.